Have your General license and interested in upgrading? 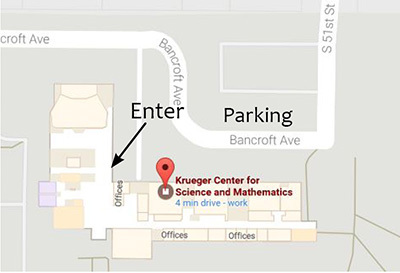 Join us in room 130 at Union College’s Krueger Center (approximately 50th and Bancroft) from 18:30-21:30 starting Wednesday, March 21. The class will run six weeks. Testing will be provided at the end of the class. The class is free, please bring the ARRL Extra Class License Manual 11th Edition. It is available from the ARRL and Amazon in print (paperback or spiral and Kindle). For study purposes, I also recommend 2016-2020 Extra Class FCC Element 4 by Gordon West. Registration is not required. Just show up. For more information, feel free to email class@k0kkv.org. Instructors are Bryan, WØBCL, and Aaron, NØADR.